I know exactly how Brutus feels. You watch the Hallmark Channel or TV Land enough in the mornings and you really start to think you need to buy denture cream. 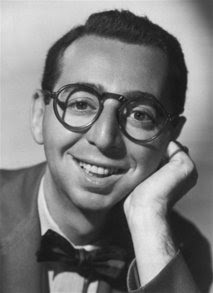 Also, Arnold Stang, who appeared alongside Milton Berle and appeared in movies such as It's a Mad, Mad, Mad, Mad World and Arnold Schwarzenegger's Hercules in New York and provided the voice for Hanna-Barbera's street-smart feline, Top Cat, has passed away at the age of 91. Our thoughts are with his family.